The Calouste Gulbenkian Foundation (UK Branch) has partnered with the Centre for Public Impact (CPI) to conduct a review of international policies that focus on easing the transition to retirement and later life. The research aims to promote a better understanding of initiatives that exist around the world and the conditions required for initiatives of this kind to be successful. The report features 15 international initiatives, covering ten different countries, providers (government, third and private sector) and delivery models. Case studies include multigenerational housing in Germany, Australia’s Transition to Retirement scheme and Singapore’s Council for Third Age (C3A). The 15 cases studies were analysed under CPI’s ‘Public Impact Fundamentals’ which gets to the crux of why a policy worked. Four common motives behind the initiatives were identified, including increasing labour market participation and developing skills and knowledge. We saw our TiLL pilot projects are unique in their focus on building resilience and improving wellbeing. 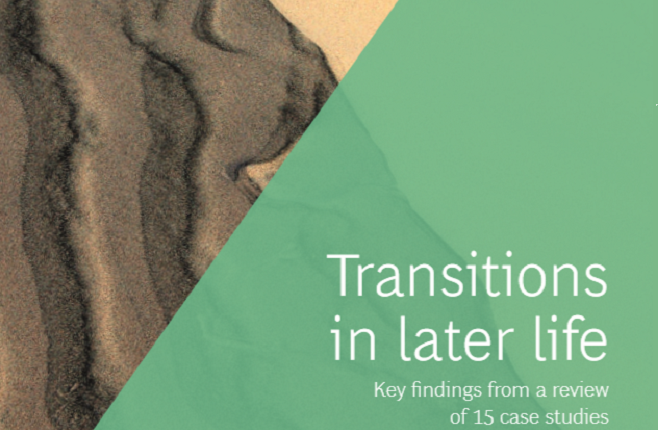 The UK Branch of the Calouste Gulbenkian Foundation’s Transitions in Later Life programme aims to help people in mid to later life feel better supported to manage changes as they age.